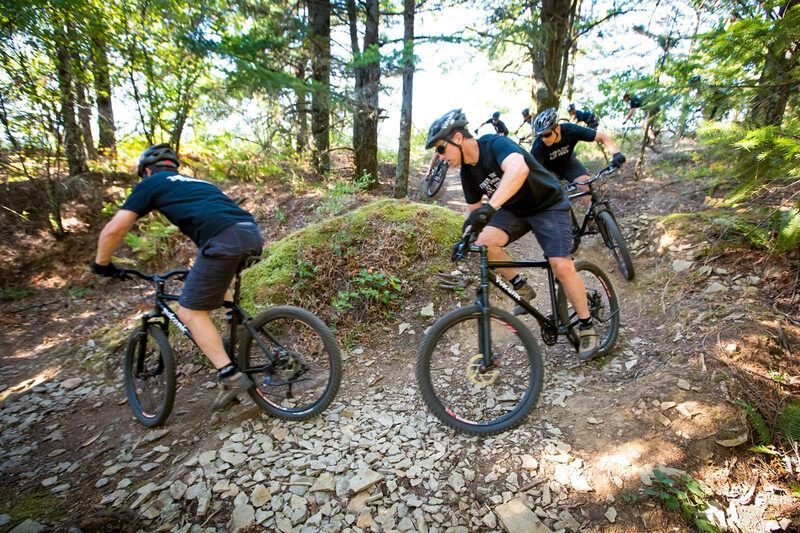 The Port has been exploring the possibility of a mountain bike trail system outside of Cascade Locks for a number of years. The International Mountain Biking Association (IMBA) and Alta Planning + Design were the primary trail designers on this project. The initial line flagged is a network of approximately 25 miles, a mix of new and existing trail on USFS property around the Herman Creek and Wyeth Bench areas, with multiple connections to town. A feasibility study and conceptual plan have been completed, but final trail construction is still 1 to 2 years away. The US Forest Service will be starting the NEPA review in late 2014. Initiated in 2009, the CLIMB Trail is an exciting project with the potential to significantly expand mountain biking in Cascade Locks. The project will benefit the community in both recreational opportunities and economic opportunities. Funding for this project has been a joint effort of the Port of Cascade Locks , City of Cascade Locks, and Hood River County. In the meantime, the Port has partnered with the Northwest Trail Alliance (NWTA) to design a family-friendly “easyCLIMB Trail” on Port property overlooking the Columbia River.